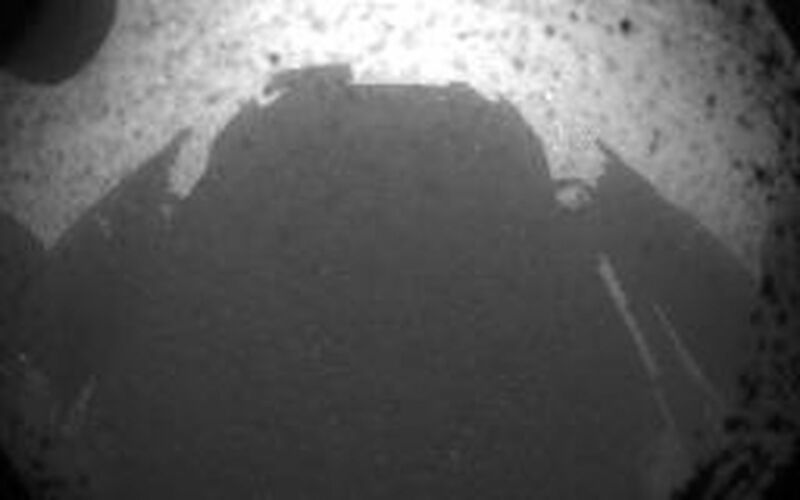 This is one of the first images taken by NASA's Curiosity rover, which landed on Mars the evening of Aug. 5 PDT (morning of Aug. 6 EDT). It was taken through a "fisheye" wide-angle lens on one of the rover's front Hazard-Avoidance cameras at one-quarter of full resolution. The camera is the left eye of a stereo pair positioned at the middle of the rover's front side. The clear dust cover on the camera is still on in this view, and dust can be seen around its edge, along with three cover fasteners. 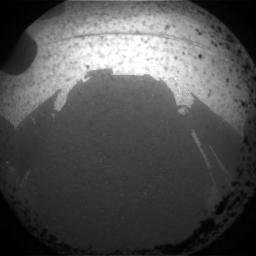 The rover's shadow is visible in the foreground. As planned, the rover's early engineering images are lower resolution. 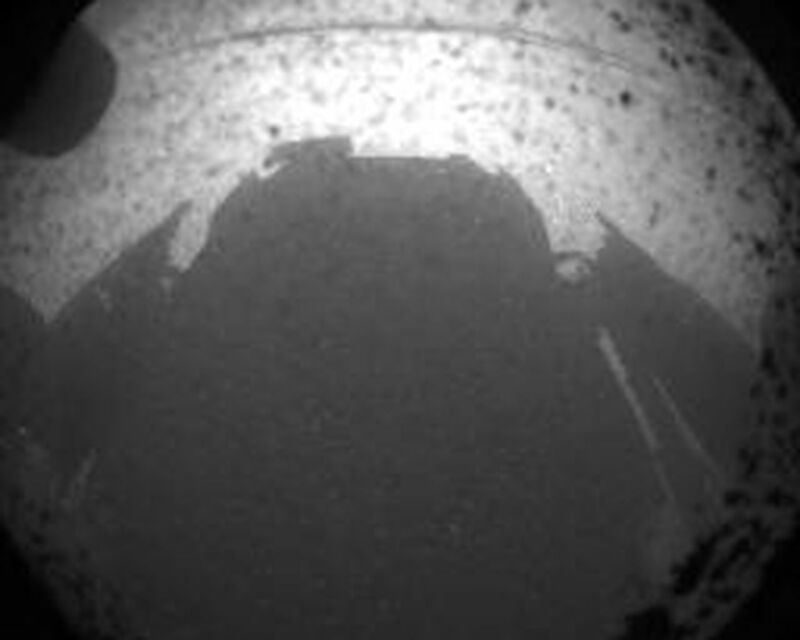 Larger color images are expected later in the week when the rover's mast, carrying high-resolution cameras, is deployed.